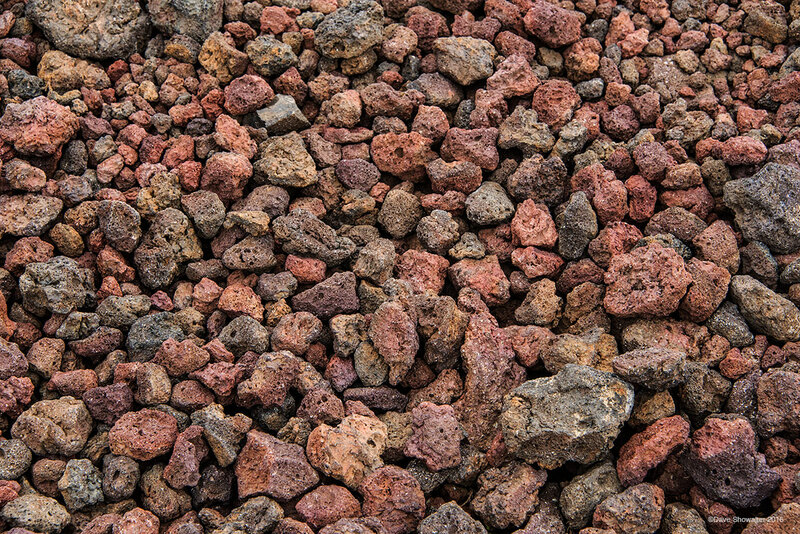 Iron rich scoria lava rocks, once small bodies of magma that flew through the air during an eruption, have colorfully oxidized over eons. Grabrok caldera is easy to view, with stairs to the rim and a trail that circles the caldera. Photo © copyright by Dave Showalter.